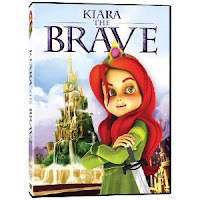 Released in June 2012 from Phase 4 Films, Kiara takes viewers to Dreamzone, a peaceful and a magical kingdom under the rule of King Maximus. The serene kingdom faces sudden change when the King is captured and imprisoned by his evil brother, Dreadmis. The King's daughter, courageous Princess Kiara, must conquer evil and restore harmony in Dreamzone, returning her father to the throne. Kiara has an 80 minute run time and is rated PG. It includes special DVD features including a slide show, trailer, and a fun downloadable activity kit. 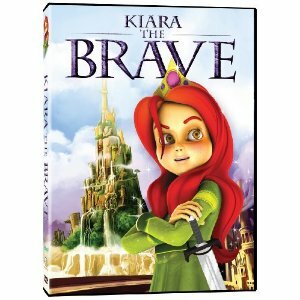 Keep in mind when considering this movie that it has nothing to do with the other recently released children's movie, Brave. Kiara is not seen as much as I would have liked throughout the movie and didn't really seem to be the main character as the front cover depicts. It seemed more about the boy named Super Kloud.